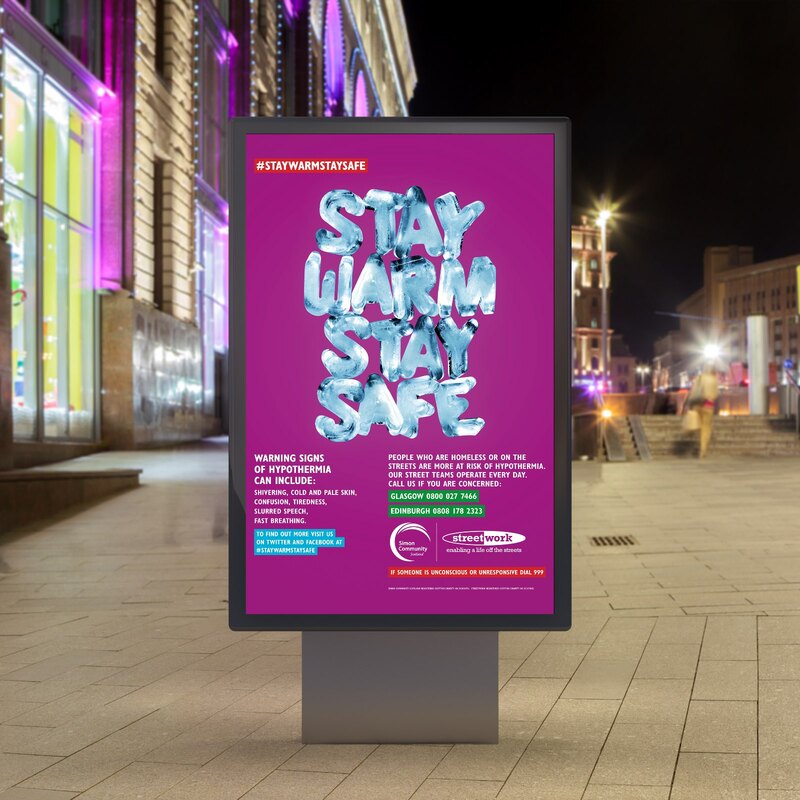 AKA were approached by homeless charity Simon Community Scotland to produce an impactful and informative public communications advertising campaign for themselves and sister charity Street Work highlighting the dangers of hypothermia on the rough sleeping populations across both Edinburgh and Glasgow. We created the hashtag #STAYWARMSTAYSAFE to head all communications which were then split into 2 different campaigns. 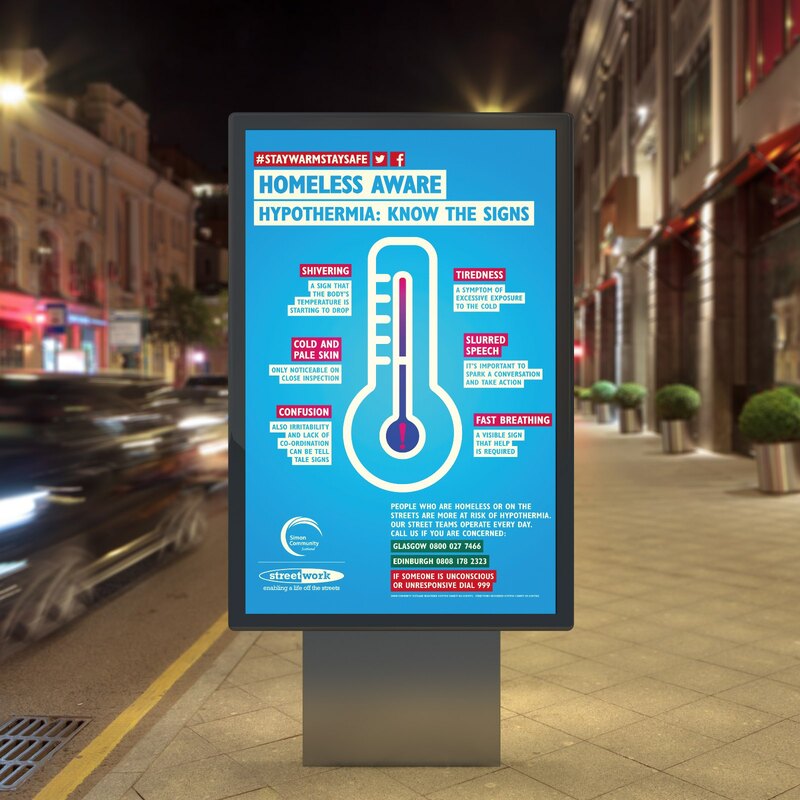 Campaign 1 was aimed at both the general public and rough sleepers and highlighted the various signs of hypothermia, while campaign 2 was created to more directly target the homeless community themselves and reinforce the message ‘Stay Warm Stay Safe’.